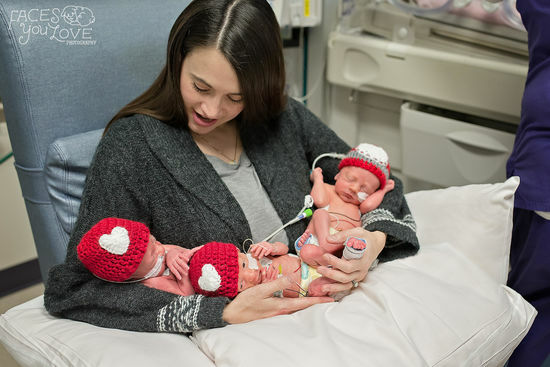 For the families of infants in one special NICU, Valentine's Day celebrated the sweetest kind of love. Prepare to swoon over the details and photos of the day. 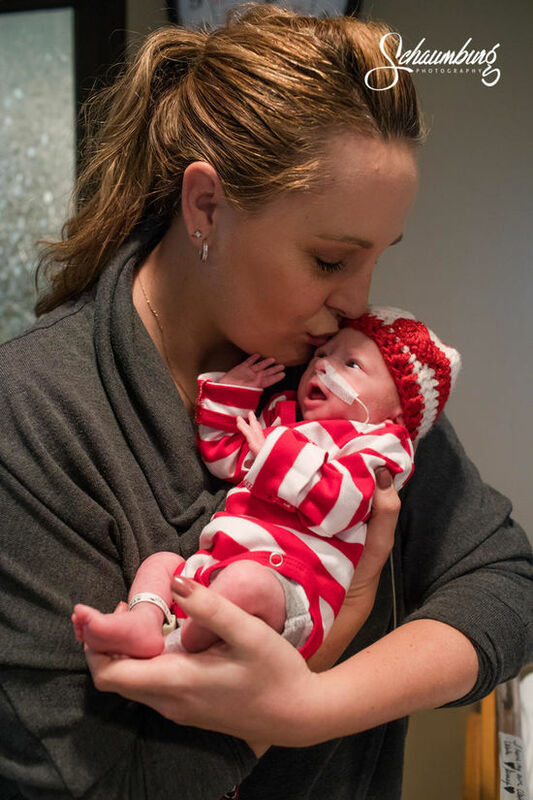 There is nothing fun about seeing your baby in the NICU, but this Valentine's Day, babies in the intensive care unit at Saint Luke's Hospital in Kansas City and their families had something to celebrate. 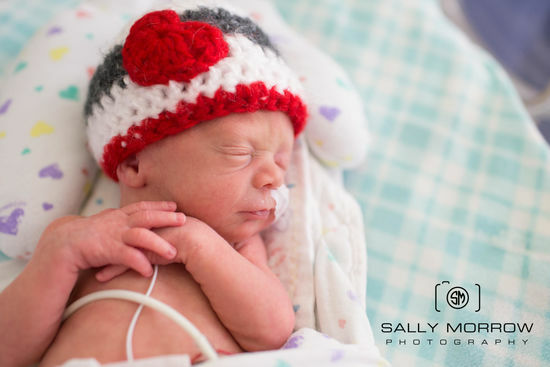 The hospital's staff teamed up with the March of Dimes to hold a special Valentine's Day event: They dressed the babies in adorably festive heart-adorned knit hats to honor the holiday. And as if that wasn't sweet enough, the parents of NICU babies also wrote their infants love letters—and the NICU staff made sure the parents received keepsake photos of their babies celebrating the holiday in return. This isn't the first time the hospital has rolled out a holiday celebration for the premature and sick infants in its care—as we've previously reported, Saint Luke's Hospital's NICU babies dressed up as holiday gifts to celebrate the season a few months ago, and dressed as superheroes for Halloween. “Every day a child is in the NICU can be frightening and uncertain, but holidays are especially tough, as families miss the normal joys of celebrations at home,” Rebecca Keunen, March of Dimes NICU Family Support Coordinator, said in a emailed release. 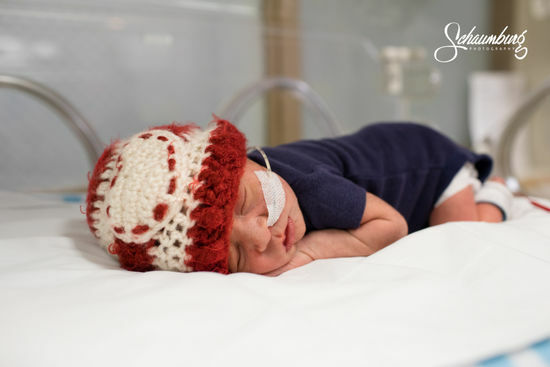 While most brand new parents are able to spend lots of private time with their babies and schedule newborn photo shoots, the families of premature or sick infants don't always have this chance—but this event gave parents some precious photos of their beautiful babies. What do you think of these sweet shots?